CANCER New Moon (June 23 / 24), with MERCURY and MARS: Longings to Belong. dear Reader in beautiful Victoria, on Vancouver Island, on the Pacific West Coast, or physically further away on Planet Earth, yet well connected, in our Cosmically Attuned Astro Community! Uhhh – can you FEEL the Call of the Water? The WATER Element of sensitivity, caring, belonging, and all things emotional, is all of a sudden so present astrologically, since MARS, on Solstice of course the SUN, and also MERCURY, today also the MOON are all in CANCER, while NEPTUNE and CHIRON keep cruising in PISCES (see New Moon chart below). So let’s be gentle, and tune into the Fluidity of Life. Our emotions and needs keep changing (CAN), while the energetic Fabric of Life shows us that we all are, and all IS connected. Actually, there is just Oneness of Life (PI) in its many forms. Welcoming the First Summer 2017 New Moon! The FIRST New Moon in Summer 2017 happens this evening Friday, June 23, at 7:31 pm PDT at 3° CANCER – La Luna’s zodiacal ‘home domain’. AUG 21: End of LEO / Sphinx Point New Moon / Total Solar Eclipse! SEPT 19 / 20: End of VIRGO New Moon. Even though, we’re (here in the Northern Hemisphere) in the height of the SOLAR Year – this week, the Solstice SUN is bright and dominant, and the daylight hours are the longest – BALANCE happens, as we’re entering a very LUNAR phase, with the CANCER New Moon – La Luna’s very abode. After lots of Spring ‘buzz and fuzz’, this and that, information and learning, in the GEMINI season, we’re now dropping from the AIR into the WATER Element, from thinking and communicating to feeling and resonating. We might have gathered a lot of information, made new contacts, learned a lot, and brought it all into your space. On a relational level, early Summer is a natural time to gather as family, friends, tribes, and communities. Gathering (ideally) is an expression, or creates a sense of Belonging – very Cancerian. Can you feel the pull of the Ocean Mama, back to Home Sweet Home? Whatever Home means to you: Literally to your physical Home, to your Family, to your Spirit Home, to the Land you call Home, or to the Home of your Innermost BEING….? What are you ‘conceiving’ of these days? Where do you feel you belong? The CANCER New Moon is the natural time for new beginnings, when it comes to all themes round home, nurturance, and belonging. Yin-Yang Balance is always dynamic and interwoven. I always feeling strange, and like something’s off when the New Moon is being described as a time to ‘set new intentions’ which, if at all, is just one side of the energy: the yang / masculine one!!! What about the yin / feminine one, of being open and receptive, to be a vessel for conception?! YES, a New MOON is Conception Energy! SUN and MOON come together, like Yang and Yin. When we ARE in a Yin/Yang Union at the New Moon, we are aligned with the rhythms of nature. The yin / lunar Cancerian quality is very motherly, caring, gentle, nurturing for our needs. The yang / solar Cancerian quality is very fatherly, and consciously creates safe tribal and family ‘hubs’. Early CAN in your 11th house: New start for your home and belonging in a community…. Many Tribes, One Nation?! What is it that we call HOME? How do we make sure everybody can feel welcome and belong? 150 years since the Canadian Confederation (French: Confédération canadienne) was created, as the British colonies of Canada, Nova Scotia, and New Brunswick were united into one Dominion of Canada on July 1, 1867. Of course, taking a look at the ‘birth chart’ of the Canadian Confederation, and its evolution. Canada and YOU / Canada et VOUS – a workshop to explore your astrological relationship with the country! Voila, here’s the FB Event. Welcome / Bienvenue at either or both in combo! Let’s visit the CANCER New Moon chart. OH! Not ‘just’ the SUN / MOON in Cancerian Union, also MERCURY closely linked to them, and MARS in CANCER ahead of the trio, pulling the CANCER energy. This week, lots of action coming from and to MARS… which is traditionally considered ‘challenged’ in the sphere of CANCER where a lot of old emotions, esp. anger, are stirred into action. The upside: needs can be more strongly asserted than otherwise. Let’s not allow our ego wants and ‘needs’ dominate consciousness, yet use this energy to pro-actively offer care and nurturing to ourselves and other beings with whom we feel kinship. MARS ‘drives’ the New Moon energy, while it also links to JUPITER (in square exactly on June 24), NEPTUNE (the trine is exact on June 25), and LILITH (their quincunx is exact on June 27). All these alignments are catalyzed through the New Moon, and are showing up together in the cosmic ‘field’. MARS square stat. JUPITER in LIBRA (June 24) shows where conflict and disturbance of balance can arise when an encounter is not a natural complementary match, and contrasting needs clash. If complementary energies are present this energy is rather stimulating – an interesting ‘test’. MARS trine stat. / retro NEPTUNE in PI (June 25) smooths situations out, when we roll with the changing needs, and are fluid and adaptable. It’s not a win-loose situation, rather a dance of energies. MARS quincunx LILITH in SAG is about coordinating notions for belonging and care with freedom and space. Hopefully, there’s room for both simultaneously. MARS, JUPITER, LILITH, and SATURN are linked into a rare ‘Trapezoid figure’ – can you see it? This configuration of planetary energies round Planet Earth combines and synthesizes different learning figures into one whole, closed circuit. The growth through learning that’s available now is charged and driven by the two dynamic squares: MARS square JUPITER, and LILITH square NEPTUNE (was exact June 21). I.o.w. when it comes to needs and wants in relationships (MARS in CAN – JUPITER in LI), we are called to choose well, so that our needs are naturally nurtured, and to take care of them personally anyway. The other one (LILITH – NEPTUNE) is about being honest and authentic, free and on one’s path, while practicing ‘live and let live’, in the flow of life. And then there’s MARS – PLUTO… between Canada Day and Independence Day. The transpersonal, collective energy of PLUTO in CAP is transforming us, as we go through the ‘birth canal of consciousness’, in this World in Change. The more we ARE in integrity with the Change we wish to SEE (even in ‘small’ ways – the vibration matters) and live in simplicity the more we sense the energy that carries and renews us! MARS now in CANCER, on the opposite side of PLUTO, its ‘higher octave’ (MARS is about personal will and assertion, and PLUTO about higher power). MARS will go into exact opposition to PLUTO on July 2 – once every 2 years. This can trigger change and realignment, on personal levels, esp. when it comes to the polarity between ‘what we personally want and need’ and ‘what matters most’. As with any opposition, our ‘job’ is to ‘marry’ the two. MARS – PLUTO, exact on July 2, will be also a ‘signature’ for Canada Day (and there’s already a lot of controversy around Canada 150, and sensitivity around “Are we celebrating Colonialism?? ?” “How can Truth and Reconciliation be put into action, how does it look like, and how can it evolve?”), and of U.S. Independence Day (well, lots of heated debates down the border which could come to a head on another level). VENUS in TAU trine PLUTO retro in CAP (exact tomorrow June 24): Valuing and Attracting what’s Solid and ‘Real’, throughout Change. The CANCER NEW MOON is also a Conception for an earthy ‘liaison’ between VENUS in ‘her abode’ of TAURUS with PLUTO retro in mid-CAP. Let’s stick with what’s simple, choose quality that proves itself over time, and enjoy what’s here and real, in the NOW, like: the gifts of Nature. In this world of change, what’s solid and of tangible value? Drawn to traditions and Elders? A good time to (re? )establish connections. Let’s appreciate deep relationships that prevail through times of change. June and July are quite Chiron-ic months, since CHIRON is now a stationary (slow moving) focus, as it changes ‘gears’ from direct into retro mode (July 1 – Dec 5). Late PI has also a PI ‘undertone’ – it all comes together, and yet is elusive. This can show up in ‘wounded syndromes’ of: feeling overwhelmed yet never really ‘getting anywhere’, feeling lost, confused, deluded, weakened, esp. in the immune system, feeling like giving up. What’s the ‘healing agent’ with a ‘Like Heals Like’ approach (very Piscean, and Chironic)? Tapping into Oneness, where ALL is already and always HERE. Literally being by or in the Water, relaxing, releasing, soaking up the oceanic energy that’s freely available…? And / or exposing ourselves to music and dance, sound therapy, yoga, meditation, anything that brings us back into a place of unity in life, from which all ‘comes together’ quite naturally…? A big shift is coming next year, as CHIRON (in PI since Feb 2011) will enter ARIES (for a short time mid Apr – end of Sept 2018, and eventually end of Feb 2019) where it hasn’t been in almost 50 years. A ‘wounded warrior’ theme? An emergence of shamans? Vulnerability yet also in-built medicine of a ‘precedent’ of sorts? The birth of SELF and a new way of being? Hmmm, at this point, it seems still elusive and mysterious. To be revealed… (next year, JUPITER will be also in SCORPIO). In any case, CHIRON in now (June / July) on the very end of PI – 29° (in transition to AR) = on the ‘Emergence / Birthing Point’, where out of the ALL a new life form and potentiality is almost emerging – yet at this point re-tracing into the ocean of oneness. Let’s find our Medicine in THIS. The birth chart is an incarnational map to identify your ‘original imprint’ and themes that are showing up as ‘issues’ in your life. * Summer SoUlstice 2017, on June 20: Height of the Light, Sacred Stand-Still, and Turning Point – feat. SUN / MERCURY: Speaking from Spirit. Happy SUMMER SOLSTICE – Height of the Light! We are celebrating the longest days of the year in the Northern Hemisphere – one of the four sacred turning points of the year – Summer and Winter Solstice, and Spring and Fall Equinox. Summer Solstice is in Pagan Tradition called LITHA. Researching its origin I found this article, with a plethora of ‘Midsummer’ (as it’s called, even though Summer only begins now) traditions in Europe and North America. And if you live in the Southern Hemisphere, the ‘arch’ of the SUN is the smallest and lowest now, reaching Winter Solstice. (Your Summer Solstice is when, through the Earth tilt, the Sun is overhead the Tropic of Capricorn – longest days for you guys and gals, of course). As you can see here we are actually 2 full weeks in Solstice mode:16 hrs and 06 – 07 min of day time, this whole WEEK in the Northern Hemisphere (with the example of Victoria BC), culminating today June 20, with 16 hrs and 06 min. and 42 sec., the absolute maximum of the year. June 20 is 7 hours and 48 minutes longer than the Winter Solstice (Dec 21)! And next week, the day time will recede very slowwwly. Nurturing What We Care About. As the SUN crosses the Summer Solstice Point we’re in the CANCER Season of the year (this year until July 23 – which is also the day of the LEO New Moon). The first WATER sign of the Zodiac introduces the world of Feeling, Caring, Nurturing, and Belonging – ahhh! The energy related to the Mother theme (the MOON is ‘at home’ and most natural in CANCER) brings out our early, primal memories, our need to be safe and cared for, our instincts to protect life, and nurture what and whom we care about, our ‘loved ones’ (2-legged or 4-legged), maybe extending to all beings and life forms. I’d say this year the CANCER energy really starts with the New Moon, just 3 days into Cancer, on Fri June 23, and SUN, MOON, MERCURY, and MARS will all be in CANCER then! Stay tuned for the CANCER New Moon Astro~News blog – to be posted here in the next few days! In the meantime, check out all these CANCER associations in the symbolic painting by Johfra Bosschart here. This year, MERCURY meets the SUN on Solstice – very rare! Their exact ‘date’ is tomorrow, June 21 at 7:14 am PDT. MERCURY passes the SUN, after this ‘Superior Conjunction’. The SUN enters CANCER – exact Solstice Point – today June 20, at 9:24 pm PDT. MERCURY meets and passes the SUN tomorrow June 21 at 7:14 am PDT, at 0° CAN. How can the Mind (MERCURY) be united with Spirit and Consciousness (the SUN)? How can we speak, write, communicate from a conscious place, and let Spirit come through us? As MERCURY receives such a solar boost that can make the mind quite brilliant, full of energy, and guided by Spirit. But the mind is a trickster too, and can easily ‘hijack the show’. Also a good occasion to re-mind ourselves how much in our ‘information age’ the mind is dominating, and… overrated. MERCURY wants to ‘lead the show’ (i.o.w., travels ahead of the SUN) after the union (and will do so until the next MERCURY retro, Aug 12 until Sept 5 – which is always a regulating and adjustment phase to ‘lasso MERCURY back in’), and even unites with MARS, on June 28, and opposes PLUTO in CAP on June 29. Take this is a golden opportunity to watch how the ego-mind wants to be in charge, and to use the energy as a creativity fuel instead. The Inner Landscape of the Mind. MERCURY in CAN is better at playful, creative imagination anyway, after the intellectual, information driven MERCURY in GEM we’ve moved through in the last weeks. MERCURY in CAN (until July 5) brings out memories and reflections, and is rather inward-backward oriented. This mercurial energy can be also well channeled into peaking from a caring, nurturing, gentle place, with and on behalf of the family, tribe, children, the human family, and the family of all sentient Beings. The shadow / pitfall is an emotional ‘overlay’ of information processing, and lack of objectivity – information is filtered through feelings which can be a moody, and also regressive situation: “Today, I feel like, now I don’t feel like….”, “Today it seems like this, who knows how I read / hear it tomorrow”. MERCURY is this time in CANCER for 2 weeks only (since furthest away from MERCURY retro the ‘messenger’ moves the fastest now) – a relatively short window to look into the inner landscape, and ask: How does this and that information make me FEEL? Where do these feelings originate? Dreams are very enhanced now too, and can be brought to consciousness (I’m definitely noticing that lately). Which reminds me of one of Carl G. Jung’s famous works Memories, Dreams, and Reflections: “I can understand myself only in the light of inner happenings.” – very apropos MERCURY in CAN. The Swiss psychologist C.G. * July 26, 1875, was born under a LEO SUN / URANUS (ruler of his AQ Rising – a brilliant man indeed! ), and VENUS / MERCURY in CAN. MERCURY triggers almost all planetary Archetypes, and their patterns with one another. Chronologically in this sequence: SUN, JUPITER, NEPTUNE, MARS, PLUTO, SATURN, URANUS, and CHIRON. I.o.w., the whole Zeitgeist can be seen, through the lens of the mind, reflected in our emotional field, and communicated back ‘out’ again. Speaking from Spirit. Conscious Communication. MERCURY squares JUPITER stationary in LI, and trines NEPTUNE retro / stat in PI: Making wise choices – what resonates and reflects ease and grace? Also: Speaking on behalf of the tribe, justice, fairness, balance, and spreading the word, ‘to whom it may concern’ / ‘to those who care’. Watch angry thoughts and the sharp tongue, and don’t let it get the better of you. Tomorrow you might already feel and think differently about it all. The energy is well channeled into passionately advocating FOR something, and bravely tracing the origin of your feelings and thoughts. Speaking on behalf of our human family, in the face of where the world seems to go: How can this lifestyle be sustainable, for the next Seven (or less?) Generations to come? After all, we’re all in this together (says also CHIRON in late PI, to go retro on July 1)! Also, a good time to reconnect and communicate with Family and Ancestors (on all levels). Speaking from a heart- and soulful place, not confrontational but from a deep place of truth that pierces right through right- or wrong-doing. A call for revolution? Wild and crazy news? I’d opt for: Mental / communication breakthroughs and liberation. And freedom from the fabrications of the mind. What would the inner Medicine Buddha say to all of this? And, with MERCURY on the CAN / LEO ‘Creativity Point’ – MERCURY enters LEO: Time to channel the impressions into creative expression. This Summer Solstice is a Turnaround Time, in many ways. Yes, the SUN and MERCURY move (this year together) into CANCER which turns the vital and mental energy into the feeling zone – questions of origin, home, and belonging, how we nurture and what nurtures the soul, are on – as families and tribes gather. JUPITER just went direct on June 9, and is still stationary (moving super slowly) all June. URANUS is slowing down to go retro on Aug 2, and will be stationary July / Aug.
CHIRON is slowing down too, to go retro on July 1, and is now stationary (June / July). Plus, MARS is in CANCER ‘crab walk mode’ (until July 20), adding to the Spiraling Effect. Well, with MARS in CANCER, a lot of old emotions, esp. anger, are stirred into action! In other words, these planets have just recently, or are in the process of changing direction from direct (forward from Earth perspective) to retro (CHIRON, URANUS, and NEPTUNE), or from retro to direct (JUPITER). The transpersonal, collective energy of PLUTO in Saturn’s domain of CAP is transforming us, as we go through the ‘birth canal of consciousness’, in this World in Change. The more we ARE in integrity with the Change we wish to SEE (even in ‘small’ ways – the vibration matters) the more we sense the energy that carries and renews us! MARS now in CANCER, on the opposite side of PLUTO, its ‘higher octave’ (MARS is about personal will and assertion, and PLUTO about higher power). MARS will go into exact opposition to PLUTO on July 2 – once every 2 years – which can trigger change and realignment, on personal levels, esp. when it comes to ‘what we want’ – ‘what matters most’, and, as with any opposition, to ‘marry’ the two. MARS – PLUTO, exact on July 2, will be also a ‘signature’ for Canada Day (and there’s already a lot of controversy around Canada 150, and sensitivity around “Celebrating Colonialism?? ?”), and of U.S. Independence Day (well, lots of heated debates down the border which could come to a head on another level). Would you like to tune into the astrological transits of the Summer, in your own chart and life? Come join our SUMMER TRANSIT PARLOUR, next Mon June 26 (afternoon and evening group)! The evening group has an online option too! Here’s the FB Event. Turns out, my program only showed 0°00′ CANCER at 9:27 pm PDT, even though the calendar says 9:24 pm PDT. see: SUN and MERCURY just below the Western horizon. You can see the stationary planets (marked with ‘ST’) in the chart, as well as the retro planets (‘R’), as well as the SUN / MERCURY alignment. SAG Body – Does She Have LILITH in SAG? A lot is stirred up, in our primal, tribal, emotional ‘field’, indeed. Let’s aim for creative, imaginative, unifying (NEPTUNE in PI), authentic, fun and inspired (SAG LILITH) activities (MARS) – like kids playing – while choosing our play mates well – a practice for choosing wisely in general. Hey, maybe MARS in CAN involves turning your home upside down, finding treasures, recycling what doesn’t generate joy anymore, and creating new aesthetics (LI) and space (SAG). MARS in CAN is perfect for home action. LILITH in SAG square NEPTUNE in PI: Follow the Call of the Wild and Authentic YOU (and don’t get deluded by weird stories or voices). Wishing us all a Happy SUMMER – Count-Down’s ON! Astro~News for the CANCER New Moon (June 23) – on this channel, and via email to the ‘Tribe’. Wanna be part of it? You can subscribe on my FB page form (link below), or shoot me a message with your email address, and I add you. If you feel the resonance with the themes above, and you could use support in your journey drop me a line, and we can set up a private Astrology consult session, or initial 20-min orientation talk, to find out what would be the best course of action. Maybe it’s time to fully benefit from a 3- or 5- sessions coaching sequence? Interested in courses, workshops, embodied, experiential Astrology in Victoria BC, or online, via Skype / FB Messenger? Find options and invitations at Astro~News that come to your email inbox, every 2 weeks, from the New Moon to Full Moon or FM to NM, with cosmic downloads for the lunar cycle, seasonal offers, and invitations to Astro~Experiences! FB page which is where the creative action happens, and where you can sign up for Astro*News for Insiders. Have you recently felt overwhelmed by information and possibilities, yet going nowhere? Where is this going? What’s the direction? Have you been questioning everything? Have you been in a maze, blues, blah mode, aimless, passive, confused, maybe even depressed, drifting, dreaming, feeling disillusioned, disappointed, feeling like checking out and escaping ‘reality’ lately, and / or ‘hooked’ on something that has turned into an addiction? Seems like you’re tuning into a low grade expression of NEP-TUNE’s turnaround mode, with a ‘dash’ of SATURN / LILITH in SAG. Which can easily happen these days. = a Very Important Planet this month, since it’s on a turnaround course (twice a year) from Earth perspective, exact today, June 16, hence moving very slowly all of June, and becoming an energetic focal point. NEPTUNE will be retro until Nov 22 (a yearly rhythm of 5 months retro / 7 months direct). Good to be aware of the NEPTUNE Archetype, and able to recognize what’s up when we’re getting ‘hooked’, what alternative higher vibrational expressions may look like, and how to tune into those. Surfing the energy field that is naturally available, dancing with Life, surrendering to what-IS, moving with care and compassion, holding space in Oneness, riding energy waves with flow and ease, without resisting nor getting unhealthily entangled or enmeshed in co-dependency (shadow of PI), is the way to (Let) Go. June 8 was World Oceans Day, raising awareness for the Beauty and vital Importance of the World Oceans. Just as the Oceans and atmosphere connect us, we are now (well, always have been, but perhaps even more aware, since CHIRON and NEPTUNE have been in PI, 2010 and 2012) experiencing how everything connects with everything, in a limitless energetic continuum. The veils between dimensions, incl. Time and Space have become more and more permeable. Remember when people were talking about the theory of ‘six degrees of separation’ , but hey – since NEPTUNE moved into PISCES (2012 – 2026) the experience of separation through Time and Space has more and more morphed into interconnectedness anyway. Internet and media allow (or hook?) us to be continuously plugged in and connected (at least to and through technology – which is now omni-available, ever since NEPTUNE sailed through AQ from 1998 – 2012). We’re swimming in, or rather: AS, a collective and universal field of energy – all connective and vibrational, atmospheric and boundary-less. Well, solid form is an illusion anyway. Since the slow moving planets NEPTUNE (2012 – 2026) and CHIRON (2010 – 2018) are in PISCES, there’s a flood of influences and confluences, maybe overwhelming (NEPTUNE), and weakening / or we might feel vulnerable (CHIRON). Our individual (which is of course an illusion) identity that experiences him / herself separate, yet has a need to feel connected. How to turn connectedness on? The last 1 1/2 years of the South Node in PISCES and the North Node in VIRGO (Fall 2015 – Spring 2017) showed us how important it is to discern what to immerse ourselves into, and how to find healthy (re)alignment in ourselves – the body is a temple – what do you allow to come in? What are healthy alignment practices and rituals to keep us in integrity, AND connected? Yoga has become a big phenomenon, and a lot of people turned to a spectrum spiritual (PI) practices (VIR) – all showing the way (SAG) to / AS the ONE (PI). PISCEAN energy is about connection. It’s a transpersonal, universal energy though. When ‘drawn into’ inter-personal realms, there can be a need to connect into a no-boundary / ‘endless’ state with someone that’s quite unhealthy, and doesn’t allow for breathing space or closure, often based on various early life experiences (often neglect, confusing bonding, or overwhelm / abuse) that the PISCEAN ‘person’ unconsciously tries to compensate for, to ‘get the loving connection’, yet s/he might re-attract similar situations as s/he looks for love at the wrong places with the same vibration. A while ago, I saw a video based on the experiences and teachings of Gabor Mate that showed how addiction is a misdirected need for connection (both so Piscean!). In German, the words for seeking (Suche) and addiction (Sucht) have the same root. “Still haven’t found what I’m looking for…”. Our Piscean Age that humanity is just about to outgrow has compounded such patterns and tendencies with, simplistically put, the classic co-dependent triad of victim – perpetrator – martyr / saviour. Always good to check in and be self-aware (VIRGO) which role/s (maybe two at once) we might play in a difficult situation – and release it. 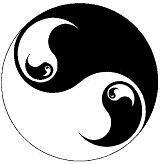 The essence of timeless Tao Wisdom: Yin-Yang Balance is always dynamic and interwoven. Beware the Agenda, and be FREE! SATURN and now also LILITH (Feb 13 – Nov 8) in SAG are also regulative Archetypes, showing us that it’s liberating when we don’t get drawn into all the allure and agenda, and stay focused and Heart connected. A walk outdoors (SAG), literally by the Water, can be wondrous (PI) in itself. And ‘real’ connectedness doesn’t depend on the umbilical cord of the media, nor on substances that take us temporarily into boundless states. LILITH now (exact June 21) square NEPTUNE creates a dynamic tension between openness, surrender, oneness (NEPTUNE) and being true to ourselves (LILITH), and also what reconciles them: Being in our True Nature and Heart-Field IS connective! NEPTUNE is a transpersonal planet – actually the ‘higher octave’ of VENUS. In other words, we are personally attracted to and connected with one another via VENUS, while NEPTUNE is about… being connected. Yet we don’t need to follow the inner / outer Pied Pipers showing up in many shapes and forms… incl. the flute of omnipresent media. Does it take extra stimuli (maybe increased dosage) to lose yourself in something ‘bigger’, and drop your sense of separate identity? Can you BE immediately, already in the space that having / doing what such and such…. promises to take you to? All is fluid, ever changing, yet everything is always here. There is nothing constant about life, about you, yet something permeates existence. Big paradoxes. Wherever you go, there you are. Yet where is the Self to be found (let’s contemplate THIS)? Humanity and all life forms are interconnected. We see that now inevitably on all levels, ecologically, climate wise, via the media, politically, economically, culturally. Blessings for Oneness in Freedom, on this Aboriginal Day Weekend! All our Relations, through Time and Space – One Humanity! SAG – GEMINI Full Moon with LILITH and SATURN – The Voice of the Heart Knows the Way. The SAGITTARIUS – GEMINI Full Moon will be on Fri June 9, at 6:10 am PDT exactly. Thursday to Friday will be the Full Moon night! Full Moon in June / post-Pentecost Full Moon: Festival of Humanity. This last Full Moon (Festival) in Spring calls us to ‘Spread the Word’ from the Heart, in our Humanity. What a diversity of cultures and languages (GEM) – yes, we can learn… yet the HEART (SAG) is always the best bridge. The Full Moon in June is in Native American traditions known as the ‘Strawberry Moon’ or ‘Rose Moon’ – it’s time to gather Strawberries and smell the Roses, and pick up their Heart Medicine. This Full Moon will be a ‘Mini (or Apogee) Moon’ which occurs only once every year, when the Moon’s orbit takes it furthest away from Earth. During that time, the Moon appears 14% smaller in the sky than it does when it is a Perigee / Super Moon! What does all this interesting data (GEMINI) mean (a SAG question), and what’s the energy of it (PISCES)? I invite you to follow the trail into the Heart of Astro~News, and find its gifts and Medicine through the read, and in your Heart! We rise again – even more so if we have processed and cleared a lot in the pre-Full Moon SCO phase. The pre-Full Moon is always most charged, and the SCO flavour this time was very potent. The SAG energy pulls us upward-onward now. SAG after SCO is the ‘Phoenix out of the Ashes’, the soaring Eagle, the rebirth and widening of perspective: To SEE is to be FREE! We may feel the pull to ‘run wild’, or ‘simply’ be in our nature-ALL ‘original Being’, free and open-hearted. When the MOON passes SATURN after the exact Full Moon, on Fri June 9, we might feel resistance, and hear inner, old ‘pretend to protect’ voices, which may be actually fear based. What to do about those? Well, they need to be sincerely acknowledged, yet not ‘bought into’, like: “Hey SATURN coach, thanks for the heads-up, much appreciated.”. Who would you be without this truth / story? MOON / SATURN is a re-parenting energy – likely re-mothering, but can have to do with limiting inner dad issues too. Or inner ancestral patterns in general that are ‘in our face’ now, to show us what the ‘obstacles on the journey’ (SATURN in SAG) are, and how to outgrow them, through being a good parent to our inner child, and a good guide to our inner ‘wanderer’ who might be overwhelmed and lost (SATURN squares CHIRON in PISCES). If YOU were born with MOON / SATURN, MOON in CAP or in your 10th House, SATURN in CAN or in your 4th House the themes are probably familiar to you in your life. This MOON / SATURN Full Moon, aided by LILITH standing by, can help our Free Nature to be unconditioned – beyond ‘reparenting’. I know – not exactly aiming from the Heart – but isn’t the SAG Body Painting amazing?! Even though the intro – amazingly beautiful and powerful! – was a bit intimidating (“is she taking us to these poses?? ?” “I can’t possibly do this.” “shall I even take this class?”) – I felt it could be the perfect practice for working with MOON / SATURN in SAG: Fear of moving forward / moving freely and with new strength, masked by protection / limiting beliefs and old stories. This signature of the FULL MOON invites us to start the journey – from the HEART (all these HEART opening poses!) and go one step at a time, well rooted in the core of our being (SATURN in SAG, and PLUTO in CAP), while being gentle (MOON), and going as far as it’s appropriate for our body at this time (SATURN). All the opening and strengthening in the class, and Fiji’s firm and clear guidance and modelling (SATURN) took me so much further than I ‘thought’ I could go (GEMINI – SAG). Sometimes we need to experience it again: Don’t believe everything you think – could be a GEMINI – SAG mantra 🙂 ! And yes, SAG pulls the arrow back to the HEART before aiming high, or actually, beore going anywhere: where do you come from? Find the WHY in your HEART. We are the evolution, and our ancestors-in-spirit are with us, to support the process. Are you up for invoking them? They can help us to change history, and not relive their patterns. I know there is a LOT to this. Explorations with clients in private sessions are rich and deep. I’m here to support you if you could use help / if this speaks to you. Being plugged into supportive ancestral connection is powerful. That’s actually a Big Game Changer for ASTROLOGY – and I see lots of clients for whom this divine timing with the inner evolutionary clockwork is now very potent. Astrology can describe the themes, the transformation, the ‘what’ and ‘why’, yet the ‘when’ can be sooner than ‘scheduled’. Time to take a look at the SAG – GEMINI Full Moon chart! Truth and Freedom are highlighted now – the HEART has the answer, and takes us to our true Nature, beyond right- and wrong-doing, judgment, fear based ‘old stories’ and beliefs, dogma and karma. The GEMINI SUN, rather than giving excess energy to more information, questioning, doubting, can be best activated through conscious spiritual inquiry: What is the Truth about YOU? This Full Moon activates the AC – DC in the U.S. chart! How the U.S. show up, and relate to others. The United States have a mid-SAG Rising where the Full Moon with LILITH sits – on the point where SATURN was just after the Elections last Nov.
And the Full Moon activates Trump’s SAG – GEM Full Moon – yes, he was born under not just a Full Moon but a Lunar Eclipse. I wouldn’t be surprised if significant news and (perhaps old) stories (SATURN retro in SAG) came out in the next while that have an important effect on the U.S. The Grand Fire Trine of URANUS in ARIES, North Node in LEO, and SATURN (with the MOON and LILITH nearby) in SAG is ‘well and alive’: Lots of inspiration, innovation, creativity, and outspoken people on a ‘mission’ (for better or worse) – heartfulness makes a difference! JUPITER (ruler of the MOON sign – SAG!) going direct only 13 min. after the exact Full Moon! Plus: JUPITER is in LIBRA, and a Full Moon with its polarity axis has a LIBRAN tone to it – it’s all about Balance, and Right Relationship. Quite the JUPITER Month of June: As JUPITER ‘stations’ now, to shift from travelling retro (since early Feb) to direct (forward from Earth perspective) all things JUPITER and LIBRA are quite a highlight, and strongly in our awareness (JUPITER is like a magnifier) this month of June. Ha, interesting that the month of JUNE was named after JUNO, JUPITER’s wife, and LIBRA is the sign of relationship. The Asteroid JUNO by the way tells us about our inner themes round committed relationships. Definitely worth exploring, as a focus, and since JUPITER in LIBRA is so strong now. Get in touch with me (contact info below) if you’d like to take this opportunity. Relationship themes are big this month, and already ‘blown up’ since JUPITER entered LIBRA, 09/09/2016. The ‘Big One’ will be still in LIBRA until 10/10/2017. The dates themselves suggest nice symmetry and harmony. JUPITER also shows us where we are idealistic (SATURN is the reality check). Questions of Wise Choices, Peace, Balance, Relationship on all levels are important – not necessarily a ‘given’ (just look at the geopolitical scene, and our personal human condition)… but Growth (JUPITER) in those areas is calling, and there’s no lack of opportunities (JUPITER). What brings us back into BALANCE? Making wise choices? As the Bridge image suggests, building bridges is a good thing, yet sometimes, if there’s not really a common ground, or not a balance of giving and receiving, outgrowing a relationship is ok too. Lots of clients with JUPITER transiting their 7th or 9th House literally feel they’ve outgrown a relationship. JUPITER in LIBRA has a similar effect to all of us, in the area where LIBRA is in our chart (10th House: The Public, 11th House: Community, Friends…). Are you part of a mini-generation, with a slow moving Planet in LIBRA? For NEPTUNE in LIBRA, the romantic / disappointment / sacrificial quality relationships can take, yet also relationships as a spiritual journey. For URANUS in LIBRA (the children of the NEPTUNE in LIBRA gen), having experienced disruption and divorce, possibly re-creating those patterns, and / or having a strong notion for independence. Yet also the chance to re-invent relationship that does allow for maximum self realization. For PLUTO in LIBRA (also children of the NEPTUNE in LIBRA gen), on an inter-personal level the experience of power in / through relationships: The relationship has power, the other has power, I have power when I’m in the right relationship (or NOT in relationship). A deeper question might be: Who and what am I without relationship? If you are in one of these mini generations (born 1942 – 1956, or 1968 – 1984), or have LIBRA otherwise prominent in your chart, I invite you to come and explore the opportunities for growth that JUPITER offers now. If you feel called to check in astrologically what JUPITER in LIBRA shows you personally, and where Growth-through-Balance can unfold now, one option would be short LIBRA focused session (30 – 40 min), or come for a more comprehensive and encompassing 90 min – 2 hr full session. Maybe it’s time for an update anyway? Tomorrow, literally just 13 min after the exact Full Moon, JUPITER goes direct at 13°13′ LIBRA – what’s with all that symmetry…? Even thought this FRIDAY is not a 13th – the misunderstood Day of the Sacred Feminine (13 Moons & VENUS-day), the message about the Number 13 with JUPITER is quite striking. Maybe the cosmic message points us to the already unfolding renaissance of the Sacred Feminine, and an incentive for Balance and Sacred Marriage (LIBRA) of Masculine and Feminine on Planet Earth. The next level, after the New Moon in GEM on May 25 that initiated a new dialogue, and new Inner Alchemy! MERCURY into GEMINI (June 6 – 21): Life is Learning! MERCURY, entered today its natural Zodiac energy – of GEMINI, and our mental energy can be more swift and versatile, open to learn – from anything. Re-enter conversations that might have gotten stagnant under MERCURY in TAURUS, and make new contacts (like, by: simply ASKing people something). Be the Student of Life. A good time to start a new learning project, esp. languages. And keep track (or not) of all the ideas that pop in now. In the meantime, with MERCURY ‘Messenger’ in GEMINI our mind is buzzing like a bee and dancing around like a butterfly, mer-curious to sample here and there, learn where we go, and make light-hearted connections, while in square with NEPTUNE in PISCES and trine with JUPITER in LIBRA (both alignments are exact June 13). When MERCURY goes into square with CHIRON in PI and opposition with SATURN in SAG (June 17 / 18) we might want to watch not to get overwhelmed while buying into an atmosphere of FOMO (fear of missing out) – sounds like ‘hungry ghost’ symptom to me. So much goodness, so many beautiful blossoms of Spring… When the Heart is at the right place we’re always where we need to be, and it’s easy to cultivate happiness and fulfillment. MERCURY will catch up with the SUN on June 21, right on the Summer Solstice point (1 degree CANCER) – a sweet alliance that calls us to speak from the Heart, from Spirit, and make rapport-building connections.